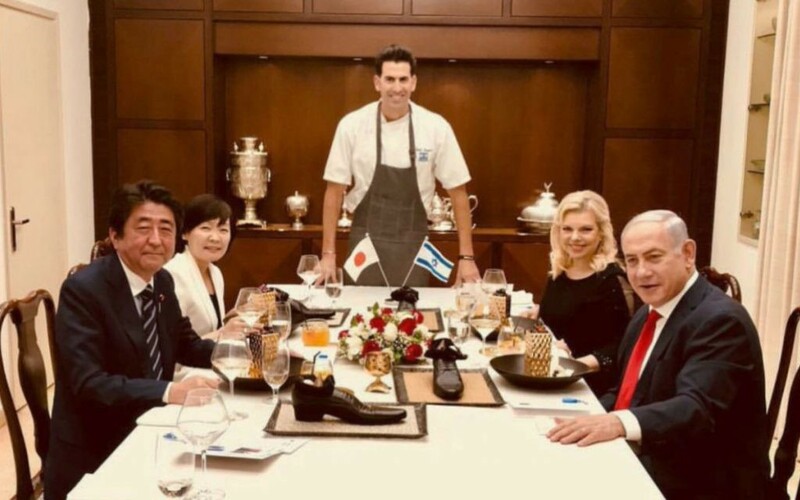 After a day of high-level meetings in Israel on May 2 — some of which involved the stressful topic of Middle East peace negotiations — Japanese Prime Minister Shinzo Abe sat down to dinner in Israeli Prime Minister Benjamin Netanyahu’s Jerusalem residence. That presentation choice would seem bizarre to an eater from just about any culture, but it was especially out of place in front of Netanyahu’s Japanese guests, Abe and his wife, Akie. Japanese etiquette stipulates that shoes should be kept outside of one’s home and office, among other taboos. Israeli celebrity chef Moshe Segev, who was in charge of the meal, didn’t see anything wrong with the idea, posting about the night on Instagram. His publicist said the shoes were “sculptures” crafted by artist Tom Dixon.